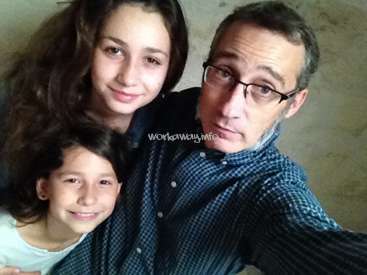 We are an Anglo/French couple in our 50's with a 18 year old son. Irena and Bernard and our son Christophe. We enjoy people visiting from all over the world. This is a wonderful exchange and we appreciate helpers that can give their best, are motivated, also enjoy what they are doing and have some fun and good exchanges at the same time. We enjoy sharing ideas and being a contribution to each other in some way. FOR LAST MINUTE HELP FROM 22 October for 1 or 2 weeks we need help only with using the strimmer, to strim the brambles and other shrubs, and then burning the garden waste. Use of chain saw to cut fallen trees into logs and moving the wood and stacking in for winter use. Only people who have done this kind of work before. We have a very large, beautiful, traditional old home on 3.5 acres of land. We grow veggies all kinds of veggies from tomatoes, aubergines, peppers, beans, to salads and often need help, in the garden, planting, keeping it tidy. We also have lots of soft fruits, strawberries, blackberries, raspberries etc. so in season we need help with picking soft fruits, making jam. The help is varied and not difficult. People who can help with the housework vacuuming, , hanging out washing, general housework, Someone who can see the tasks that need doing and knows these kind of tasks would be wonderful. We are currently needing some help with sorting out and throwing out unwanted items from our home. Attempting to have a big clear out, so anyone you is good at organising and clearing out items from books to paper work would be very welcome. Anyone who can use a garden strimmer, who can prune shrubs, and as some internal home handy man/woman skills ie use an electric screw driver, some painting internally, some small carpentry jobs would be great. We also clear the grounds and burn garden waste and leaves which need raking up into piles. We have a variety of help required listed below. When you write to us, please let us know what kind of experience if any you have had in any of the tasks below, Can be just growing up at home in a big home or any kind of paid work, and please let us know which kind of tasks you enjoy doing. Please do not send us a circular letter, we need to know you have read our profile and how your skills or experience will be of help to us. We also have a lovely dog, that likes to go to walks twice a day. This is a great area for hiking on your days off, and exploring cities such as Nîmes, Montpellier, and local towns like Anduze. Some painting and decorating, walls, and window frames. Gardening : weeding as we are organic, planting, watering keeping tidy. Helping me clear out old paperwork and books, some re filing and organisation of office. Wood chopping (Autumn Winter) Kindling wood with an axe. Raking up leaves, and burning garden rubbish, September and Autumn, Winter. Knowledge of painting and decorating and plastering would also be a great asset. Spring time or autumn winter. We also have a donkey, our pet dog Alppha who loves being taken for long walks, and 2 cats. We take all our meals together except breakfast, as Bernard works outside as well as having a part time local and school bus driving job. I generally cook the meals and love help with preparation and of course clearing up the kitchen afterwards. We are vegetarian but eat fish sometimes. I have recently stopped tour guiding work and travelling all around the world and have trained as a Yoga teacher. I practice when I can. We appreciate anyone one who has some kind of skill as per our description above, including being organised, and working as a team or on your own, so that the work we need doing can be done effectively, with some fun, enjoyment and great memories along the way. When you write to us tell us as much as you can about yourself and why you wish to come to our place and how you think you can contribute. Many thanks. We love to share our recipes and cooking knowledge. We live a very beautiful part of France and can share ideas for trips and hiking in the area. You can come to practice your French and see how a French home is run. We also have bikes you can use. 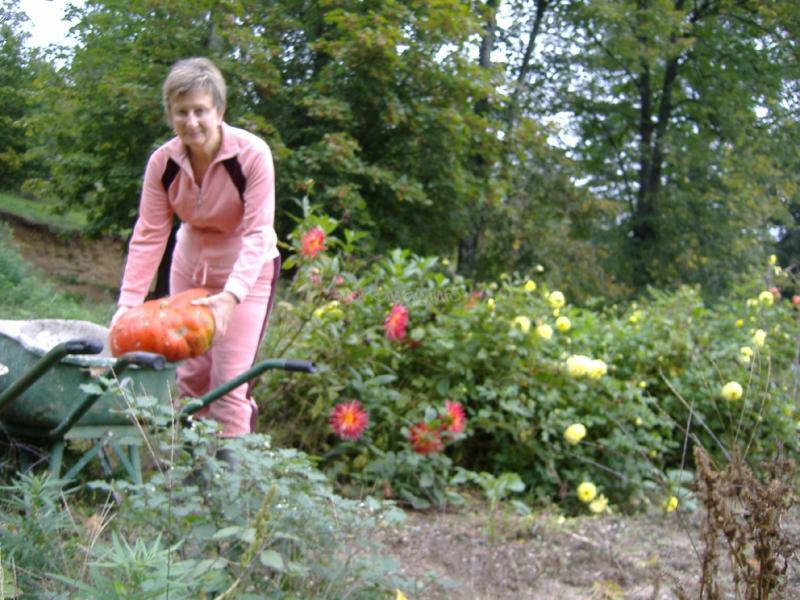 You will learn how an organic garden works, how to make jam, run a large household. Be in a very beautiful unspoiled part of France, which is great for exploring, and hiking. Enjpooy our dog walks, learn to look after our donkey Pompom. As I have recently qualified as a Yoga teacher, would love some help and ideas to create a web site, or and a blog to promote this and the other things I enjoy. I offer massage and other healing modalities. Would appreciate any kind of artistic help in designing a logo or brand name for myself. If you can cook we always love people to help with our own food preparation, and of course clearing up, and keeping the kitchen tidy. We enjoy cooking and eating fresh food from the garden or local produce. We would like someone who can take photos and spend some time helping to create and maintain our Facebook page. Really becoming an extension of the family. We appreciate any skills offered and enjoy the exchange and fun of having people from all over contributing to our lives. I also have too many books, clothes, things we would like to sell and get rid of. So planning to take some our things to the local marche de puce.... (flea markets) at the weekends. Help with sorting, and clearing, pricing would be wonderful. Also have antique furniture for sale and other items. Need help pricing and listing these items and putting them on line for sale. Here are some of the things we do, but other jobs always come up too. Planting the garden, weeding, burning rubbish. Clearing garden waste. Watering garden. Picking soft fruits and veggies from the garden. Jam making. Keeping grounds tidy. Repairing dry stone walls. Computer stuff as previous. Help with house work, hanging out washing, ironing, dog walking, weeding, keeping outside the house, clean and tidy, sweeping the patio, weeding in the gard. Autumn. Burning garden waste. Raking leaves. In addition to some of the aboe. Winter. Chopping wood. Keeping grounds maintained. Using the strimmer. There are many great walks in the area, we have a couple of bikes for use although its very hilly here. Great place to relax and enjoy the beautiful views after a days work. We are 1 hour from the Mediterranean, swimming possible in nearby village. We are a non smoking home. We offer a spacious room, with two single beds, own shower and w.c. We have wifi connection, but do not offer our private computer for use, so please can you bring your own for emails etc. There are many great walks in the area, we have a couple of bikes for use although its very hilly here. Great place to relax and enjoy the beautiful views after a hard days work. In the summer you can swim in the nearby river. To get to us, we are 1 our from Nimes. There is a bus from Nimes to St Hippolyte du Fort. Cost 1.50 euro and takes around 1 hour. We will come and pick you up from St Hippolyte du Fort. We can take one person at a time. Can consider two, depending on what your skills are. We are a non smoking home. We eat and cook our food fresh each day and would love some help with that as well. We are mainly vegetarian, although eat fish. 5 hours per day 2 days off per week. had managed to all the tasks I set her incredibly well and more. She is great at everything she does, from garden work, pruning, clearing garden waste and leaves, housework, cooking and taking care of our cats and walking our dog… read more Alpha. Nothing we gave her to do phased her or was too much trouble for her. She is very reliable and trustworthy and genuine and a pleasure to be around. Bernard loved all the cakes you baked. Thank you so much for coming Emily and wish you great fun and success on your travels. I spent three beautiful weeks with Irena and Bernard, it was my first Workaway experience and I couldn’t ask better. Irena and Bernard are really kind people, they take care that you have everything you need and help them was a pleasure to me. 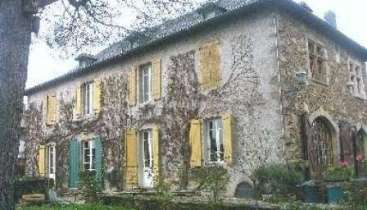 The tasks were not hard and there were a lot of different things to do; my main job was clean the house… read more and the gites for the guests, but I also enjoyed raking leaves, collecting tomatoes and pumpkins from the garden. I loved the long walks with Alpha and I had really fun taking out pom Pom from the yard. I really appreciated eating fresh food from the garden and discover new very good irena’s recipes. The nature around the house is amazing and the little near villages are so nice. In my days off I also had the opportunity to visit near cities like Nimes, Arles and Montpellier which are really beautiful. The only thing I can say is that this can maybe not be the best experience for somebody that wants to meet a lot of people because the place is quite isolated. Thank you Irena and Bernard for these beautiful days! Alessandra was a super workawayer and did a fantastic job. Although she is only 18, she looked after our home and pets, while I was away and Bernard was a work. She is extremely trustworthy and reliable and did all the jobs while I was away on her own. She helped with the housework in a very large home and various other tasks inside as well as… read more doing a great job outside int he garden, collecting the dead leaves, walking the dog, and many other things. She can manage her time really well and as she is the eldest of 5 siblings has learned to be independent and care for others really well. She was a joy to have here and we highly recommend her. If you get a request from Jan, or you are looking for a volunteer, please make sure you do not miss out on Jan. We were very fortunate to have her come stay with us for around 3 weeks. She is worth her weight in gold and more. She came with an open heart and a willingness to help us out in any way she could. It was a very busy time for us, she… read more very quickly adapted to a new climate, country and language. She fitted in to our home and environment so well helped with the many tasks we had at this time of the year, and so much more. It was a joy to have her her stay with us. She contribution so much to our business, running of the gites, cleaning and maintaining them, our garden, and animals and so much more. She is very conscientious of all she does, gets on with the task and does everything with care and energy. We can highly recommend her. Many thanks again Jan for the massive contribution to made to our home and family. Caring hosts, awesome animals and a peaceful, picturesque location: This workaway was very rewarding for so many reasons and Irena and Bernard gave a great welcome. I appreciated my 3 weeks in this valley very much. From the very beginning, Irena gave a cheerful vibe and much confidence with all the arrangements. I also appreciated our English… read more conversations with humour and shared interests. Conversations in French (my language not so good!) with Bernard were also great, and his travels from Vancouver to Quebec (5000 km in my home country) were a cool discovery. The cleaning and caring for the two gites is rewarding because they are so attractive and well maintained. I especially liked the outdoor tasks of weeding, pruning and raking which were usually in the company of Alpha (sometimes Pompom or Whiskey) and often bird song and even sheep-bells tinkling. Luckily the weather was warm and sunny most of the time! Walking with Alpha is fun and energising and he really appreciates you as you become best friends. Leading Pompom the donkey from her night-time field to another one is fun too and she likes to take her time munching along the way! She is an old soul and really appreciates your attention too. 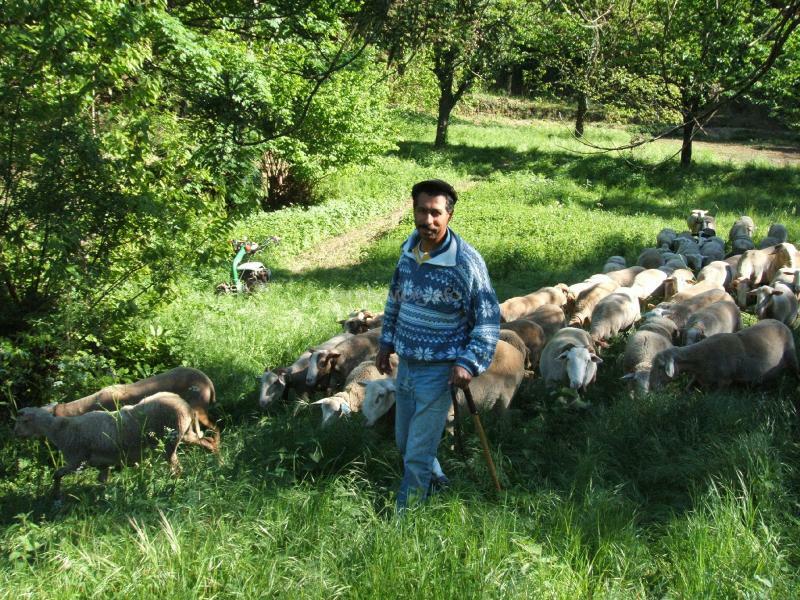 For me it felt like a second home in the Cevennes. I stayed with Irena and Bernhard for about 2 weeks. I helped with preparing the rooms for guests and a little bit in the garden. The work wasn't hard - some days I did a bit more than on other days and I had 2 days off for discovering Nimes, Arles and Montpellier. They cared about me like a… read more family member :) and the food they prepared was really really good. Irena and I baked cakes and bread and walking "Alpha", the dog (he is sooo lovely! ), was a plessure. Mara is a wonderful, caring young lady and was very enthusiastic with all the help she gave us. She loved the animals, and they loved her. We had many new guests arriving and she carried all her tasks out with care and learned very quickly to fit into our routine. She was very easy to be with, and became like an additional member of the… read more family. We could not have managed without her help. I would recommend her highly to any other place who is considering taking Mara for a volunteer place. Thank you again Mara for everything you did to help us, it was greatly appreciated and we loved have your here. Merci beaucoup. Thank you Sarah for all the hard work you put in and for settling in so well. Sarah is very accomplished and thorough in everything she does and very trustworthy. She was great at looking after everything and getting on with the daily tasks while I was away, which included looking after the animals, housework, lots of soft fruit picking, weeding,… read more washing and ironing. She was great fun to be with and worked well alone or with the rest of us. She also helped us enormously with getting the gites ready for the guests making sure everything was presented to a very high standard. She very reliable and did everything we asked her to do extremely well. Thanks again Sarah from us all. Hope you got some good recipes to show your Mum. Really, really enjoyed my stay and Irena and Bernard are wonderful, friendly people. I had a really wonderful experience staying here for a month and helping out with the cleaning and gardening. The work was interesting but not to challenging and the location is absolutely beautiful and I really enjoyed going for hikes or visiting the nearby towns on my time off. Mostly I helped with cleaning the guest houses and getting the rooms… read more ready for new guests and looking after the animals. I also did the occassional bit of work in the garden. I really liked the room I had because it was very private and peaceful so I could really relax there. The food was absolutely delicious! Irena and Bernard were both so lovely to me and I would definately highly recommened it to any workawayers! It was a great experience to have Hannah come help us out. Despite her young age she was a really great candidate and was able to be of great help in many ways. She carried dut everything she did in a methodical and very efficient way and was very quick to learn and work under guidance, even though she didn't need much. She was very easy to be… read more with and we really loved having her here. She did many things from housework to helping out in the organic garden, looking after the donkey, dog walking and many other things. Thanks again Hannah all your help was much appreciated. Can highly recommend Hannah in every way. I spent a lovely month with Irena and Bernard. They are very generous and friendly people and they work really hard to find work that suits your skills, as well as their needs - there is a variety of work to be done! They are also very helpful in suggesting things to do with time off and providing assistance wherever necessary. Alice came to us in July and was incredibly helpful and very lovely and easy to get along with. It;s a very busy time for us with guests coming and going so loads of house work, ironing, help in the garden, with cooking and being with the guests, tidying up and all manner of things. Alice is very bright and fun to be around and despite her being… read more so young, she did all the work to a very high standard and work very hard. We really enjoyed having her here, and she will definitely be a credit to anyone that takes her on as a volunteer, she also speaks French beautifully and excellent German among her skills. thanks for my time at your place. I think I learned a lot and could contribute to your work. It was my first workaway experience. So this is gonna be a review of my stay and the general experience of doing workaway, as well. It's important to know, that the location is really in rural france. Once I walked to the next… read more village to get stamps, which they did not have, it took me almost half an hour. The next bus stop is in St. Hippo. On the positive side, I tried hitchhiking and it worked out really well. At first my room was very cold, it's independent from the rest of the house. I was really thankfull, that Bernard and Irena got the idea of putting a radiator in my room. Food was really great, they often cooked a soup with vegetables in the evening. I really liked it. Irena took care of my eating habits. If I had any problems or needed advice about spending my free days, I always got help. So I can only encourage other volunteers to stay at their place. The work itself varied quite a lot. At first I had to clean the gites. I went for a walk with Dulu (the dog) quite often. Later I did more outdoor work like raking leaves, burning branches or stacking wood. What I missed while during workaway , was some special sort of idealism. That doesn't mean workaway is stupid or boring, it's just a personal feeling I got during my stay. 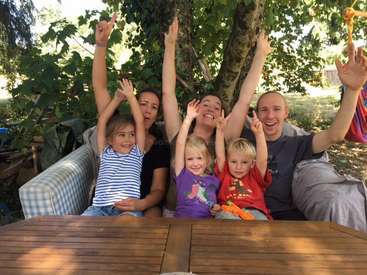 Workaway is a sort of exchange program: you work for your hosts, they give you accomodation and food. I would not call it a holiday. It's an experience. Still, I can only encourage other young people to spend some time with Irena and make some new experiences. It was my first workaway experience and it was amazing. The house is beautiful and the area too. Irena and Barnard really warm-hearted. The work was not to much and I like it really because the company was pleasant. I really happy because we met. It was fantastic I wish that I could have stayed longer. Anita helped us with a number of tasks, and is very willing and capable young lady. She is lovely to have around, and has a helpful attitude. She was great in all the things she helped us with, from in the garden to house work, walking the dog, and raking up our autumn leaves. We really enjoyed having her here and recommend her, She is a… read more happy and trustworthy volunteer who is great to be around. Aran came to help us in May and we were very impressed with her and can recommend her highly. She is very friendly, and conscientious and respectful. 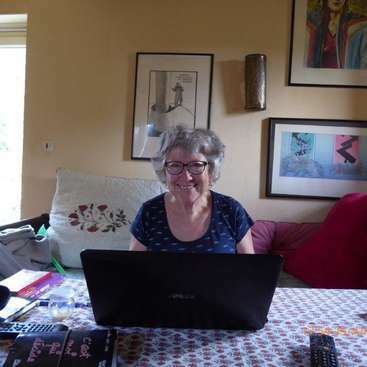 She is very quick to learn what we needed done and helped us out with so many thinks, from tidying book shelves and clothes cupboards, to housework and cooking and gardening work . A very helpful… read more and willing attitude, and lovely personality. Our overall experience with Irena and Bernard was great. Irena was very nice and welcoming, very encouraging with the work and always thanking us for the jobs we did and was very appreciative. We felt very comfortable around Irena. Most of the tasks we had to complete were enjoyable, in particular the gardening. 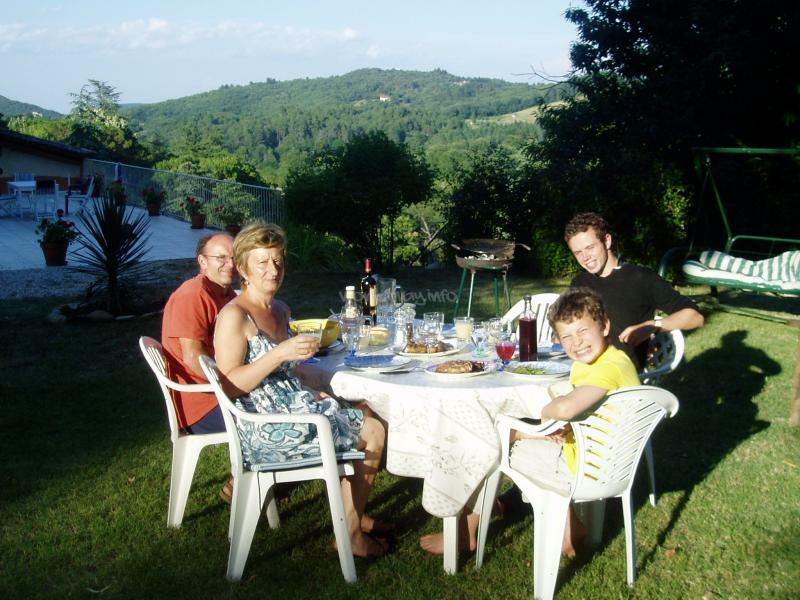 Cleaning the gites was a main part… read more of this workaway, as mentioned on the profile so we were happy to do this. However, on multiple occasions we were asked to clean their personal areas such as their bedroom and living room upstairs, and hang out their laundry. We occasionally felt that we were doing jobs that Irena should be doing herself rather than helping out with the business side (gites and garden and animals etc). On the other hand, when working with Bernard he did the tasks alongside us which felt like more of a joint effort. 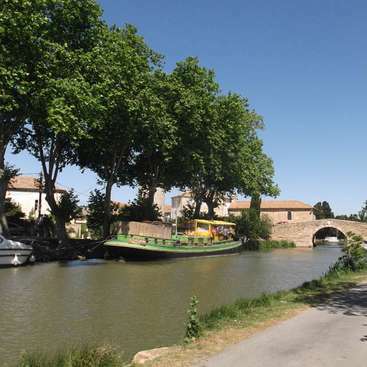 The local villages were very nice but we were further from Montpellier than we originally thought - the gites are in a lovely setting but aren't close to much local activity. We wanted to come here mainly to practise and improve our French, having begun studying it from scratch at university, however our French wasn't initially good enough to communicate easily and we felt a little disappointed that Irena didn't want to speak French with us and found her slightly impatient on this topic. On the other hand, we tried to speak French with Bernard as he prefers speaking French and although a man of few words we eventually found him to be very friendly and encouraging with the French practice when we engaged in more conversation. The food cooked by both Irena and Bernard was fantastic and we really appreciated such good quality food after working. We have many fond memories of the family and the area and our experience with them and are very grateful to them for having us to stay. Peta is a wonderful person with a great sense of humour. We really enjoyed having her come help for two weeks. She has many talents and abilities and got on with all the various tasks we set her really well. It was a pleasure to have her here as she is easy going and works really hard and was a great contribution in many ways. Any task we gave… read more her there was no fuss, she just got on and did it very well. Thank you again Peta and we hope to see you again. This was my first Workaway experience, and I must say that I felt very welcome and well looked after - thank you, Irena and Bernard. The accommodation was good, the food (vegetarian) was nothing less than superb, and the location truly picturesque. Irena and Bernard know their area well, and are more than happy to share their knowledge and… read more expertise, recommending places to visit in the region and activities for days off, and even providing maps etc to assist. The work expected of me was very fair, and of a good variety. For instance, my jobs included weeding, watering, pruning, raking, fruit-picking, cleaning, sewing, cooking - and even dog-walking. Aspects like the weather and personal strengths and preferences were taken into account, too, when allocating tasks. This is a beautiful place to be, with many places of interest nearby and excellent walking potential. But I can't finish this review without once more mentioning the wonderful cooking . . . if you like to eat food that is simple, fresh, vegetarian, homegrown and organic, then this is the place for you! Both Irena and Bernard are excellent cooks. Irena and Bernard, thanks once again for welcoming me into your home and for enduring my very clumsy attempts to communicate in French. Michelle was very easy to get on with and help us with many different tasks. She helped with cleaning the rooms, outside in the garden, and cooking and cleaning. In fact everything she did she was able to learn quickly and do extremely well. Thanks again Michelle for coming to stay with us and for all your help. Happy travelling and… read more volunteering. The gite got a very nice view and I learned a little more french and about gardening, woodburning, acacia trees. I walked the friendly dog & cuddled the 3 cats! It was easy to spent 3 weeks, having good food and entertaining conversations with his lovely son! I wish you all the best, merci beaucoup Bernard! Vidar is an exceptional young man and very mature and eloquent for his young years. It was a real pleasure to have him hear. He was easy going and was always open to helping us out with the various tasks we had for him. He worked really well, without us having to ask him. Once we showed him what needed doing he just got on with it and always… read more did an excellent job. He's great fun to have around, his English is wonderful and we highly recommend him. He's also very aware and clean and tidy. Thanks again Vidar for coming to help us out, we really appreciated having you here and all the help you gave us. :) Wishing you all the best for the future and whatever you do I'm sure will be a success. I cannot thank Irena and Bernard enough for the wonderful weeks they welcomed me into their home. The work was very varied and not very hard at all, and I hope they were pleased with my efforts. Irena is the most friendly and open minded person ever imaginable and I truly enjoyed our walks and discussions. Bernard may be a man of few words but he… read more is incredibly kind and always there to help you should you need it. Thank you so much for having me, and have a great time in India Irena! Bernard & Irena welcomed me into their home for my first WorkAway experience - and it was a fantastic place to stay! I had to stay an extra week as I loved it so much! They are both very friendly and courteous, giving clear instructions on what they needed help with and being patient if it took a few times for me to get it. Their animals are… read more the best and I will miss them all very much, especially my walks with Julu the dog and cuddles with the three cats. 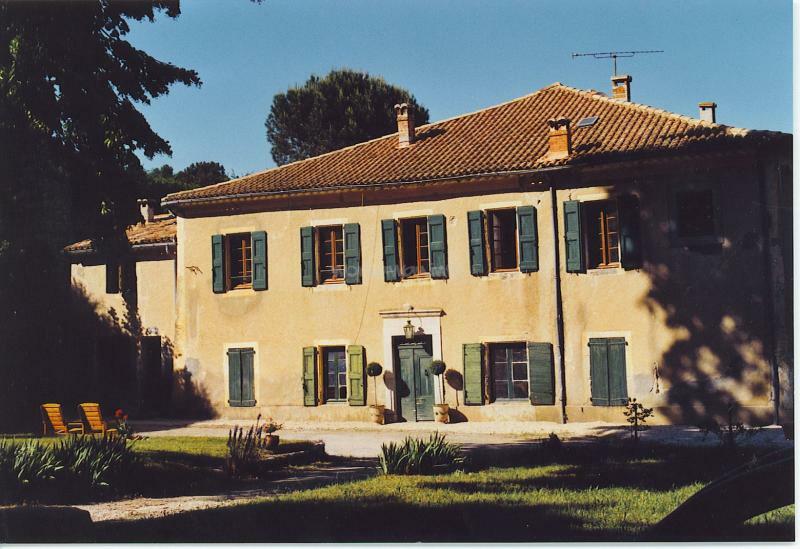 Their house is massive and in such a beautiful part of the Cevenes, I spent many mornings watching the sunrise over the chestnut-forested trees, and is very close to some great tourist attractions. The room I stayed in was comfortable and fully stocked with duvets and towels and a shower room to myself. The work itself was a mix of helping around the house, preparing for winter by chopping wood and doing some internet stuff, as well as helping Irena at the flea market! Highly recommended, very helpful hosts who I hope to come and visit again soon! David stayed with us around 3 weeks and helped us out with a large variety of tasks really well. He is a very kind, honest, a great attitude to helping us out and a totally trustworthy young man with a willingness to get the job done and to undertake new tasks. Our pets absolutely adored him ie our 3 cats and our dog a rhodesian ridgeback loved… read more all the walks they did together,not forgetting our donkey Pom Pom. He was really loved and appreciated by them all including us. He was a great contribution to the running of our busy household and can put his mind and ability to most things from chopping wood, to vacuuming. He is also very tidy and comes highly recommended, especially when dealing with animals and a great help with the computer too. Thank you David and good luck with your future workaways. Firstly Irena, Bernard and Christoph and there multitude of animals were very lovely. Irena and Bernard were very helpful in getting to and from Lasalle and Nimes- even picking me up and dropping me out of town on my last day. They were incredibly hospital, all amazing cooks and great conversationalists. This would have been a lovely workaway if… read more it had not been for expectations around work. Unfortunately my work away only lasted 2 days - as we both had very different expectations of what the work away involved and came to the agreement that this would not work for either of us. I assumed following their profile that it would be 5 hours a day with 2 days off. Unfortunately this was not the case, it was expected that the day would go as long as the work was needed and that if one worked more than 5 hours a day then one wouldn't get those hours off on others days. It was made very clear that the expectation was to work 6 days and that I was not there on holiday. I attempted three times to discuss how the hours could work so that it was fair for all and that I was happy to work longer days if I had the extra time worked off at a later time- my attempts were silenced with the reply that 'we do not do hours because some people are more slower than others' and 'I don't see why your getting so worked up about the hours- we just need the work done'. We both left on good terms, but I would advise Irena and Bernard to change their profile to reflect their expectations of work awayers if they were to continue to have work awayers to avoid future complications and consider the exchange that is taking place over 'work away'- how much labour would cover a week's board and meals- this is not employment and therefore should not be exploited- no matter how well intentioned and willing work awayers are. I'm writing this also for work awayers because the location is rural and an effort to get to - so before commuting to this work away I would advise work awayers to engage in thorough negotiations regarding what is considered work and what is not and the terms of hours, Expectations and time off- so you know what to expect. We were very fortunate that Oona came to help us out. We had lots to do and she was able to help us out with a variety of tasks, from painting furniture and window frames, to cleaning the guests rooms and cottage. She also helped us with preparing our meals and general house work in fact every task we gave her was completed to a very high… read more standard. She is enthusiastic, hard working, considerate and great fun to have around. She even had time to share her great baking skills. Thank you for all your help. We appreciated you very much and recommend you very highly. Thank you Irena, Bernard, Christoph and your menagerie of beautiful animals! I had such a lovely time with you all exploring the very peaceful, very French and breathtakingly beautiful area in which you live. I spent 3 weeks with the family and treasured the time I had to pause and reflect after many months abroad. The work I undertook was… read more varied and enjoyable. I mostly cleaned the guest rooms before and after guest visits, maintained the gardens and cooked almost daily using beautiful produce from the garden (heaven). There is no shortage of work to do here, but Bernard and Irena are very flexible and adapt the work to match the volunteer's skills. This is not a very happening place, my down time was very sedate (yoga, long walks and runs with joulou, writing or reading in the garden and many cups of tea). This was perfect for me but I would not recommend for someone looking for action and adventure. Thank you again, I am so grateful for this wonderful opportunity. We struck gold with Hannah coming to stay initially for around 2 weeks, however we were very grateful that she stayed on longer. Not only did she apply herself to every task we gave her with enthusiasm; she also always made sure she did a great job. She helped us with everything from writing letters to cleaning toilets; from creating great food… read more to painting jobs and gardening work and more. She's great fun, very caring and multi talented and we would have her return any time. Massive thanks Hannah and all the best for your new adventure in life. We were very fortunate that Gergo came to volonteer with us. He stayed for 3 weeks, and really worked very hard. We had many different tasks to do which he always did very well and with enthusiasm. He is a very kind, honest and enthusiastic worker. Highly recommend hi. We also shared some recipes but sadly never got time to making the goulash… read more :) Thank you very much for coming to help us out. You will be welcome again any time. Many thanks to Irena and Bernard for my first workaway experience. I spent 3 weeks there and I enjoyed it very much. The surrounding area is really beautiful I could visit a few places during my stay, I even went to Montpellier thanks to Bernard. Irena and Bernard cook really well, I loved the food and Irena always eager to try new things (the… read more Hungarian Christmas cake was really good :) ) I also could improve my French skills with Bernard. I enjoyed the outdoor work however sometimes it was a bit difficult (chopping and moving pig pieces of wood). I want to thank Irena and Bernard fort he time I spent with them! It was another great workaway experience for me. Very interesting people who supported me in improving my French. I helped in the garden, the kitchen, cleaning the guesthouse and a few other little works. It was great for me, that Irena was very interested in sewing. So I was… read more able to help and support her with my technical skills. 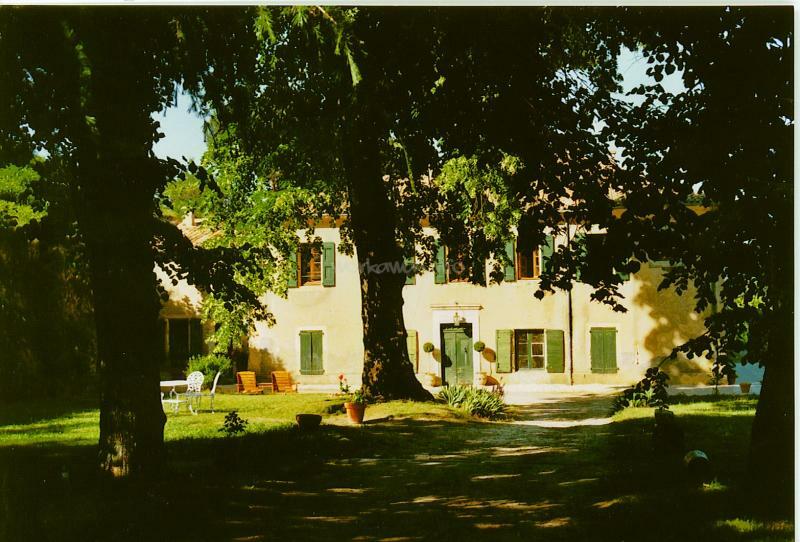 Their house is in a very calm and rural part of the south of France, if you like the nature and to be outside on your own, it’s a great place to stay for a while! We want to thank Corinne very much for the time she spent with us here. She was always keen and eager to help out where she could, and worked very hard. She is kind, patient and very willing to help out with all kinds of tasks we gave, her and carried them out with much care and attention. I am also very grateful to her for her patience in… read more sharing her sewing skills with me. Due to her knowledge I was encouraged to start up sewing again and I bought a sewing machine while she was here. She very kindly shared here knowledge with me and we were able to accomplish making curtains, cushion covers, and she altered my clothes and showed me how. She helped with everything from helping us to keep our B & B cleaned to a very high standard, to painting and varnishing furniture and doors, to cooking, weeding, fruit picking and keeping the grounds clean and tidy and many other things. We would highly recommend her to any host, as she is very eager, quick to learn and can work well on her own or with others. Many thanks again and we would welcome you to our home again any time. My time at Colognac was a really good time. 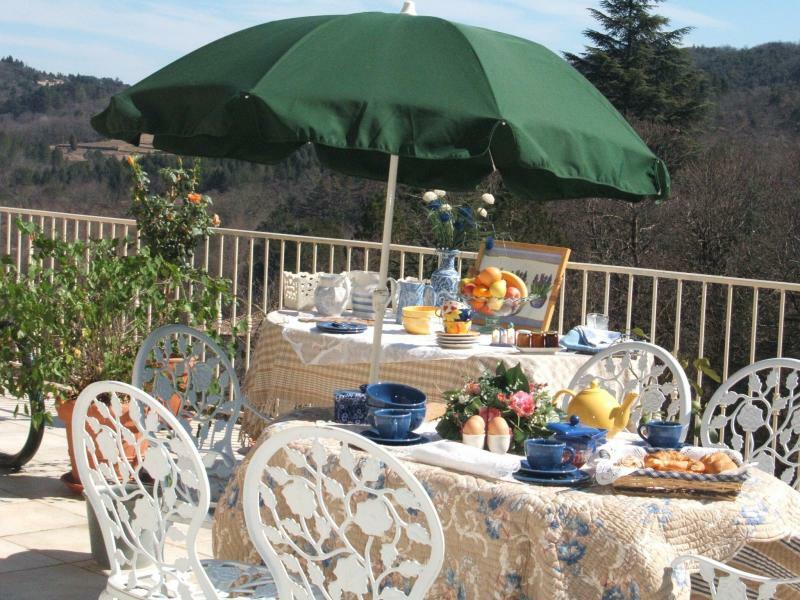 The place is situated in the most beautiful landscape of the cevennes. The work was hard but I liked to do it and learnd lots of new things such as cutting wood with a chain saw ;-) thank you Bernard! Thank you Irena not only for hosting me but also for all the interesting conversations we had that gave… read more me new perspectives. Julius enjoyed all the different jobs he had to undertake and did them effortlessly and extremely well. He is happy to help where he can, learns very quickly, and gets the job done. He was a great contribution to our home and business. A diligent, kind and open hearted young man, who will be an asset where ever he chooses to go and volunteer. … read more Thank you for being with us Julius and all your hard work. It was fun and a great pleasure to have you stay with us. Thank Simone for all your hard work. Probably good I wasn't here as we would have spoken in English or German. Bernard really appreciated your initiative and assistance in everything you did. We are glad you enjoyed your time here and thank you for coming, we really appreciated it. I've spent three weeks at Bernard's home and I enjoyed it very much. As he prefers to speak french, I could really improve my french knowledge. He is also a very talented cook and had no problem to cook vegetarian dishes for me. Thanks! Michelle was a joy for the short time she spent with us here. Our dog Djoulou loved her and she adored him. Very hard worker from heping with painting, picking soooo much fruit, to helping me with some great photos shots and some tiresome internt work. She helped us out in so many ways in a great variety of tasks. Thanks again Michelle....… read more and bonne change with your journey. Luica was a great contribution to us while she was here. She has so much enthusiasm, energy and great sense of humour. We are always very busy with a large variety of tasks, and Lucia was amazing with everything she helped us with. We particularly appreciated her sense of humour and her pasta and teaching me to cook pizza. Merci… read more beaucoup encore Lucia, we often think of you with fond memories. Kathryn has been a joy to have stay with us. She has been here nearly 4 weeks now and is soon to leave. Although just the tender age of 18, she has been an enormous hep to as our very busy guest house/farm. She is skilled in many ways and has been like a big sister to our adolescent son. Nothing has been too much trouble for her, while… read more she's been here, and she has accomplished all tasks given to her with enthusiasm, and real diligence. All our pets have loved have her here and so have we. She has been of enormous help to us many ways from, weeding outside, helping at the flea markets, cooking and cleaning and much more. A heartfelt thank you for us all.